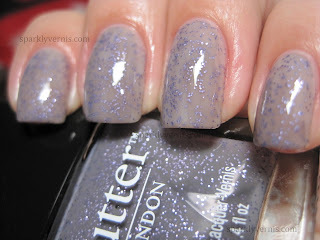 BONUS PICTURES - Butter London No More Waity Katie by itself! 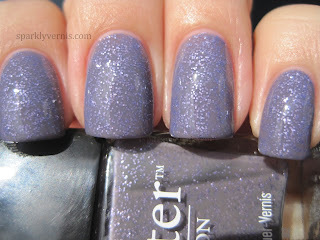 Wow this looks fantastic on...and just blergh in the bottle...thanks for sharing! So lovely! I sold this in my last blog sale but I am 120% regretting that right now. WIsh I would have given it a chance! I really like it by itself! I love the grey with the purple, it's so pretty. Beautiful. I love it on it's own best, the glitter in this is so pretty.